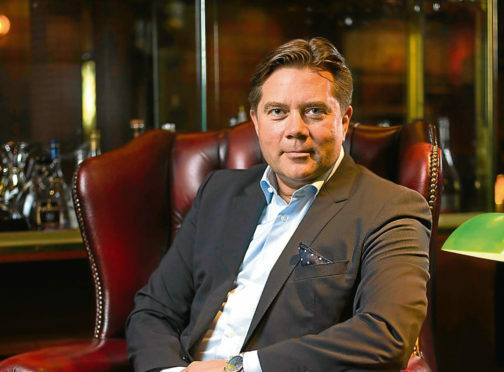 A blend of entrepreneurial drive and a passion for Scotland’s national drink has seen a Swedish businessman launch the world’s first regulated fund trading in rare single malt whiskies. Opening amid reported soaring global demand for high value bottles and headed by Christian Svantesson, it will offer investors the opportunity to own a small part of a large collection of sought-after malts. The fund will be supervised by the Swedish Financial Supervisory Authority and has received approval to launch on the Nordic Growth Market exchange in Stockholm, Sweden. Scheduled to liquidate after six years, it offers a target return rate of 10% per annum. The fund said its rare whiskies would be selected by five “internationally acclaimed portfolio managers.” Single bottles from its inventory will be sold online, with the fund’s investors having the opportunity to buy them before they go on the open market. Mr Svantesson said: “The Single Malt Fund is created for whisky enthusiasts and others who want to invest in rare whisky. When selling, the fund will first offer its limited rare whisky to its investors, giving them access to selected rare whisky which is very hard to come by without the right knowledge and contacts. Figures from whisky analysts and brokers, Rare Whisky 101 (RW101) show the returns produced by rare malts over the past few years have outstripped many other alternative and traditional asset classes. The RW Apex 100, listing the world’s top 100 performing bottles, has climbed 485% since 2010. Between 2013 and 2017, the average price per bottle of rare whisky bought at auction in the UK has leaped from £223.60 to £299.36. A recent survey by RW101 and Whisky Auctioneer identified private malt collections worth an estimated £75million, and with an average value of £50,000. Mr Svantesson said: “My inspiration for the fund comes from my own passion for single malt whisky. Knowing how much my own limited rare whiskies have appreciated in value, I spotted an opportunity to take a more professional approach to the whisky investor market. Earlier this month at an auction in Hong Kong, an unnamed buyer paid £82,619 for a bottle of 59-year-old Dalmore Eos, produced at Alness, in Easter Ross.